Blogger or other called it blogspot is one of the best blogging platform that is used by millions of users around the world and for newbie blogger it's hard for them to choose which platform suits them that is why i decided to share what I learn by my experience when using blogger. There are other blogging platforms that will say it's better than blogger which I strongly disagree and I shouldnt mention it in my page because I wanted you to focus only on blogger which I am going to share to you today on this page then its up to you if you are going to choose blogspot of not, without further delay let start to talk about it. One of the best benefit if you choose blogspot is that you have the privilege to start a blog for free and I am sure you love free right and many will tell you it is very good for newbie blogger but for me blogger is best for passionate bloggers. HTTPS certificate is now required on every website because all web browsers required it or else browsers will notify their users that your blog is not safe to use which is not good for your SEO and also to make sure that their users are safe against malicious intention like hacking personal details and etc. with HTTPS everything a user do is encrypted and users love security and before you can get https you need to pay for it yearly and it's very expensive. When you apply for a custom domain and even your custom domain has no HTTPS blogger or blogspot will transform your custom domain with https enabled for free and the awesome and the news is its for free lifetime. With blogger you do not need to problem about disk space issue because I have seen blog in a blogspot platform that has already 3000 post and thats awesome and compare to other platform you need to increase plan and add additional fee for that but in blogger you do not need to pay for anything. Yes its true because I have browse several of blogspot blog and all of them load ranging for only 2.5 seconds that's because blogger template are created with simple html set of codes that doesn't need to load heavy files and also blogger or blogspot is a product of google and their server is superior than any other servers that people will love to browse. With blogspot this is also one good feature because compare to other platform they have their own limits and once you reach that limit, your website will go down, but with blogger its unlimited because it can handle 500k visitors a month just don't send fake traffic to your blogspot blog or else it will get suspended. 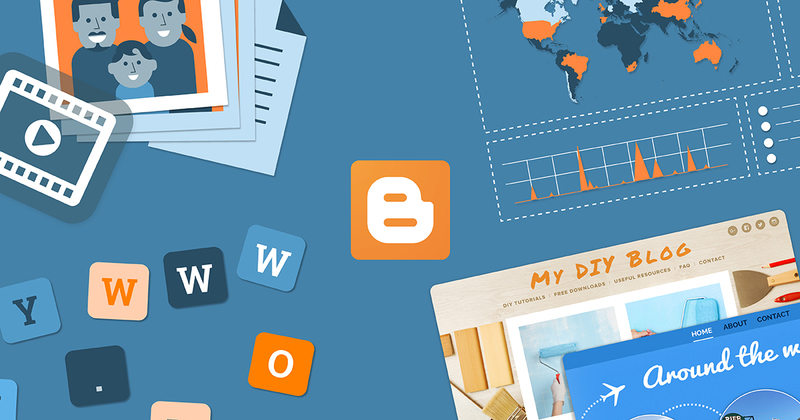 Blogger is a very impressive platform that for me is unbeatable, this are great features that bloggers you see that is why i wrote this for you, hope you have discover something great on this page and have good day!